Front Binding – It’s yet another round of updating an older Heritage post with LEC information; this time, the perhaps surprising choice of H.G. Wells’ Tono-Bungay. I say surprising because Wells is now well-regarded for his contributions to science fiction, laying a lot of the initial groundwork for the genre today. However, the Limited Editions Club picked Tono-Bungay, a somewhat autobiographical novel that the Monthly Letter and Sandglass reveals that the author considered his finest work in fiction, as their first release of his. They followed up Tono-Bungay with two books of three of his better known works: The Time Machine & The War of the Worlds, with Joe Mugnaini’s art in 1964, and The Invisible Man, with Charles Mozley (who also did Shaw’s Man and Superman) providing the illustrations in 1967. Design Notes – This was designed by Bert Clarke of Clarke and Way in New York (aka The Thistle Press), who also did the pub duties for both variants of the book. I will pause to highlight Clarke and Way, as they were Bert Clarke and David Way, who both used to be employed by the George Macy Company as part of the Heritage Press. They named their press after their mentor, one of the most distinguished members of the LEC/Heritage printing canon, Bruce Rogers. The text is Caslon Old Style No. 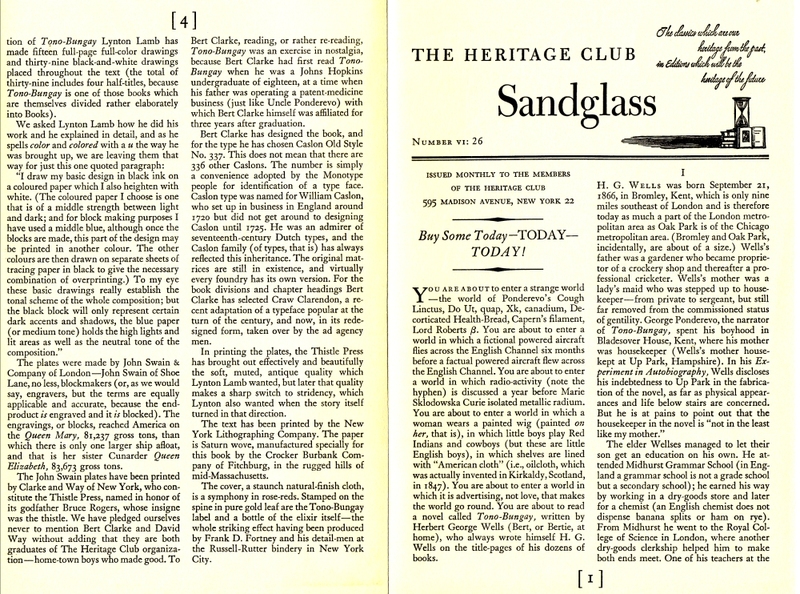 337 (the Sandglass tackles the obvious gag of “is there 226 other Caslon fonts?” in its next sentence) while the block divisions and chapter headings are graced with Craw Clarendon typeface. The text was then printed by Clarke and Way for the LEC and by the New York Lithographing Company for the Heritage. Unfortunately, I do not have the monthly letter to further elaborate on the LEC. I will see if my friends in the Devotees may be able to assist me. 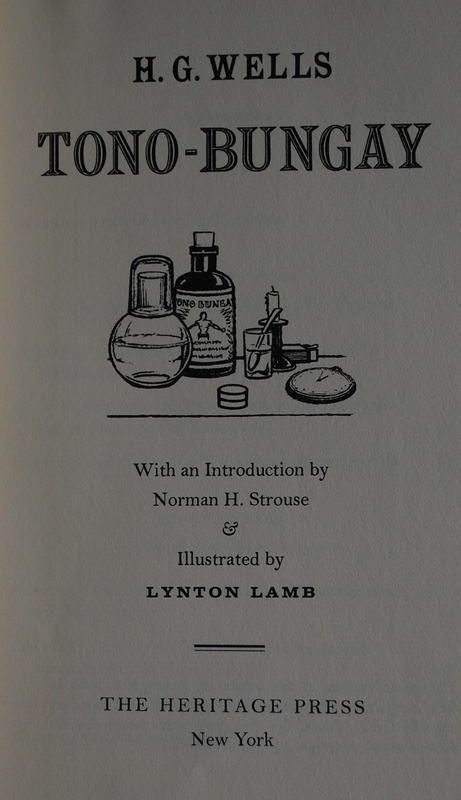 Title Page – Norman H. Strouse, the President of J. Walter Thompson Company in New York (at the time, the Sandglass gushes, “the most fabulous, amazing, tremendous, supercolossal advertising agency in the whole wide world”), delivers an Introduction. Colophon – This is copy 660 of 1500, and Lamb provides his signature. 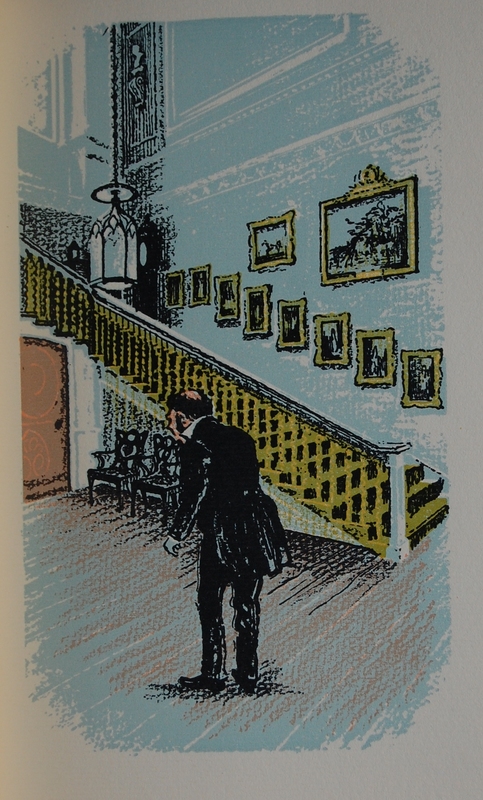 Examples of the Illustrations by Lamb – I’m skipping the Gallery again so I don’t have to do it twice; it will hopefully make the comparisons easier to see. 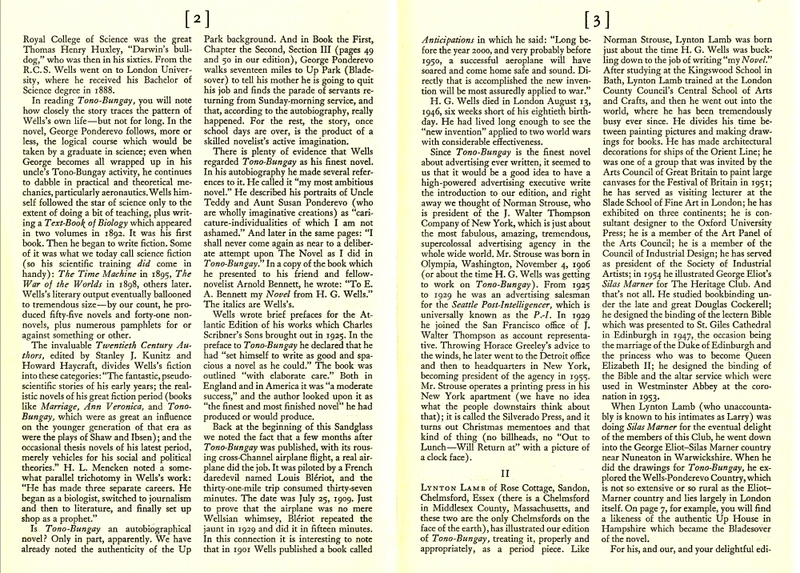 Page 16 – Lamb’s illustrations are a little subdued, which is appropriate for the text. Not my favorite, I must admit, but they work. The colors blend quite nicely, and the scenes are well depicted. Page 26 – I skipped the black and white linework last time; not so now! Personal Notes – How weird that this too, like Herodotus’ volume, took five years to acquire since I originally posted about it! This also came from Liz, the very nice person who sent me a bunch of books gratis a few months back. Thanks again! 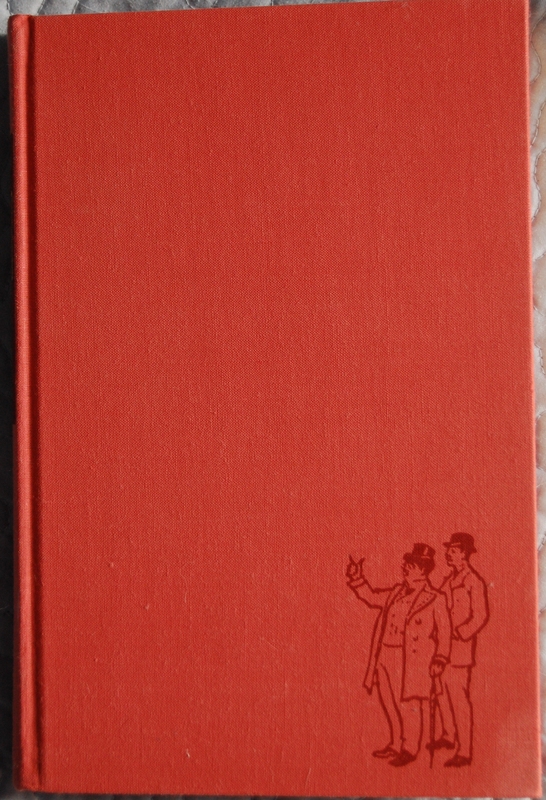 Front Binding – The design for the binding changed things up a little between editions; one of Lamb’s illustrations were utilized for a little extra decoration, and the spine was toned down a little (the bottle is still there, but it’s not as prominent a design element). Otherwise, the inside is essentially the same, right to the reprinting of Lamb’s artwork (in the same color scheme as the LEC no less!). After George Macy’s passing, several LECs had their color palette reduced or stripped out in their conversion to a Heritage, but that is not the case here. Other design notes for the Heritage: it features Saturn-wove paper specifically made for the Press by the Crocker Burbank Company of Fitchburg, Massachusetts. Lamb’s plates were made by John Swain & Company in London, sailed over to America on the Queen Mary, and printed by Clarke and Way. The boards are covered with “a staunch natural-finish cloth…a symphony of rose-reds.” The spine has the book’s title, Wells’ name and a bottle of the titular elixir stamped in gold, which were done by the ever-busy Russell-Rutter Company in New York. 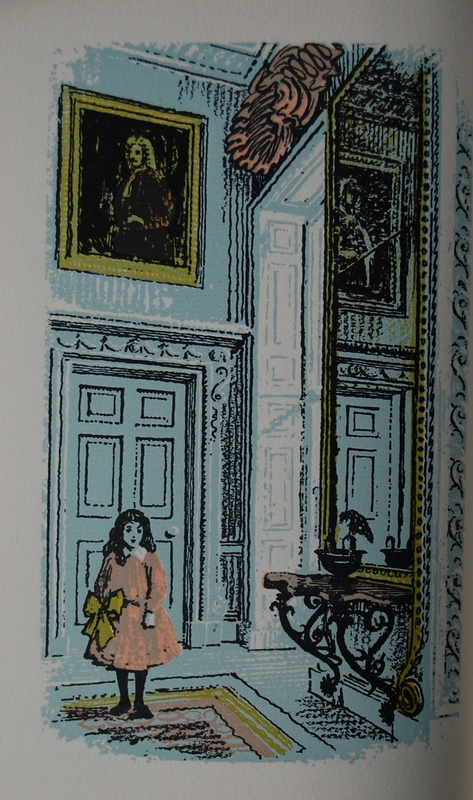 One of Lamb’s drawings adorns the front cover. Title Page – No fancy colors here like the LEC. Page 16 – The reprints of the LEC plates turned out well; there’s not a huge difference in quality. Perhaps Clarke and Way’s involvement here helped? Personal Notes – I haven’t read this novel, but I do think it’s a nice-looking book with quite a bit of charm. I got this copy from Page One Used Books, my good friend’s bookshop, before she retired (the same friend I traded Brownings with) for free for helping out with the store. Amazing how many HP books I got that way…it lacked a slipcase, but the condition was otherwise fantastic. I no longer have it (I have a LEC, naturally). You are currently viewing the archives for September, 2016 at The George Macy Imagery.